FR ENG Book now ! 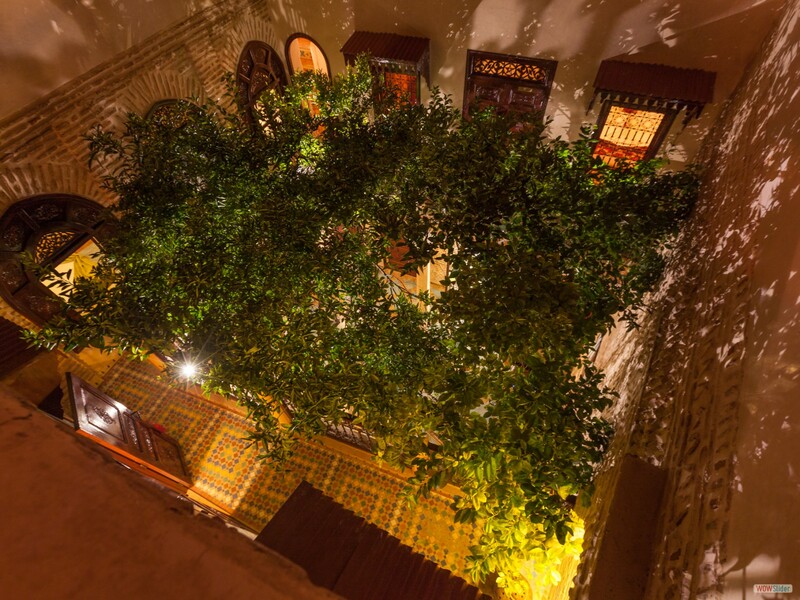 Located in the famously safe and secure district of Dar el Bacha, Riad Louaya welcomes you at the very center of Moroccan traditions. 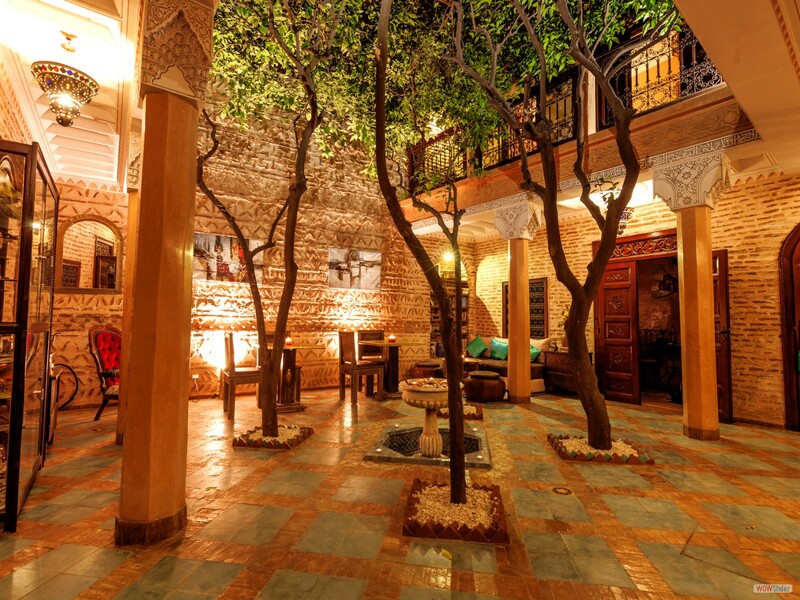 You will immediately feel at home in this charming riad, with a staff available 24/7. 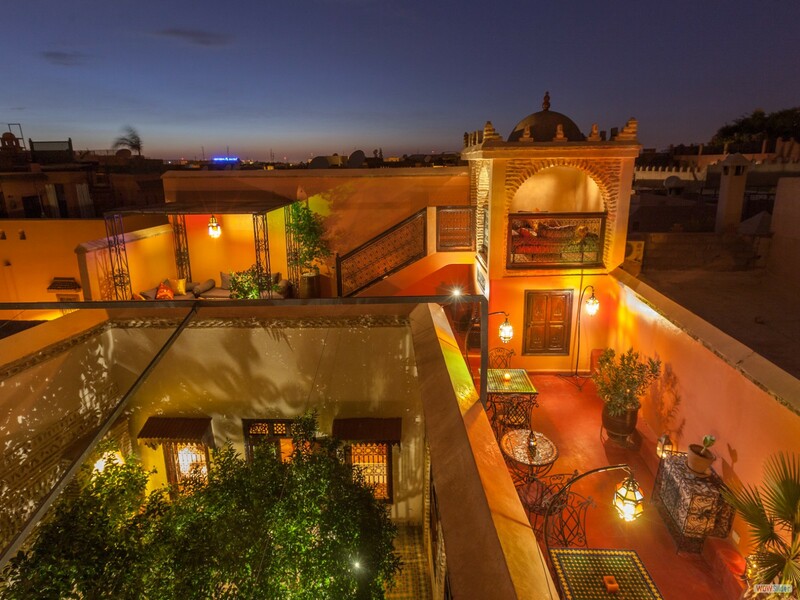 Very close to the suqs and the Jamaa el Fna square, this ancient riad offers you coolness and calm with its sheltered patio, adorned by orange trees and a fountain. The riad offers the discovery of traditional culinary secrets, with cooking and pastry courses . 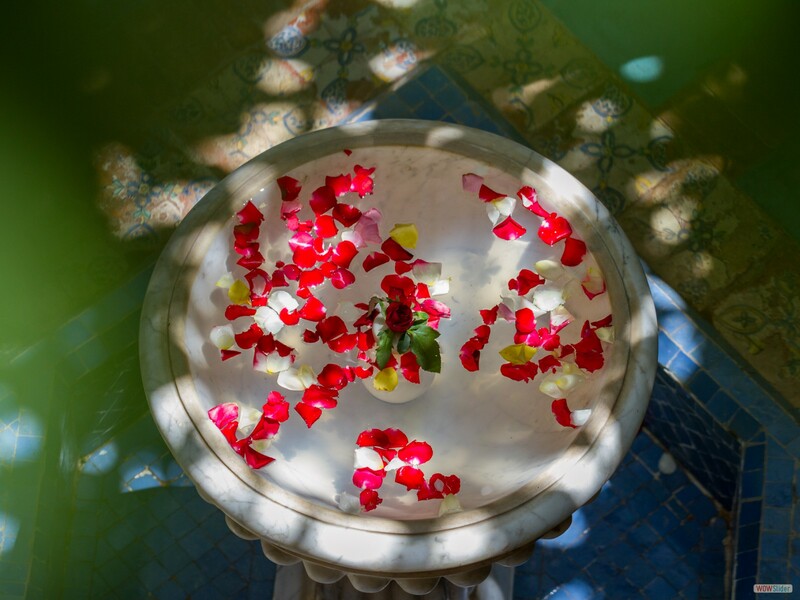 Our team can also plan roundtrips near or in Marrakech with a guide; and other activities like spa, quad… To preserve your calm and comfort, our cosy riad only has 3 rooms and 1 suite, all fitted with AC and heated, each with a private bathroom. La sérénité au cœur de la médina. You will like their refined decors, and will be able to enjoy the terraced roof, the patio and the various living-rooms all day long. The wifi is free in the whole riad. You will be welcomed at the airport 24/24. Car parks and taxis are available close to the riad.